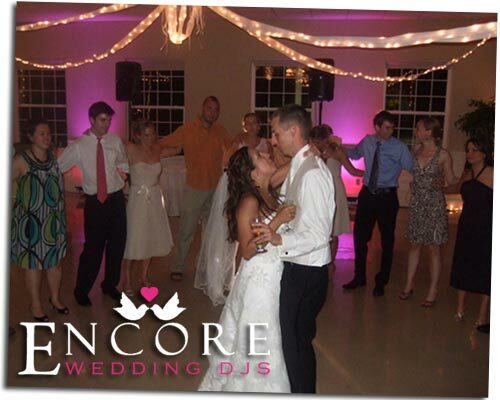 Yes, we will provide the entertainment and lighting for your wedding reception in Lansing Michigan. I can say one thing that you will have fun. Last Saturday we were @ Eagle Eye Golf Course in Bath Michigan for Alex and Anna’s wedding reception. They requested some great songs and even though the weather was a bummer, the night turned out perfect. I actually heard that it is good luck for the bride and groom if it rains on your wedding day. Hmmmm, just some food for thought.